We offer professional boiler replacement services across Birmingham, Bridgnorth, Bromsgrove, Dudley, Stourbridge, West Midlands, Worcester, Worcestershire, and surrounding areas. The need to replace your boiler can arise from a range of needs or problems, which is why it is important that you source a company that can accommodate for all needs. At Alpha Building & Heating, we comprise Gas Safe registered, experienced engineers that always operate in full compliance with current regulations for your peace of mind. Further to this, all of the work that we carry out is undertaken in house, from the survey through to the installation. In turn, this will work to make things quicker while still maintaining the highest standards. Not only does this bring you complete peace of mind, but getting a high quality boiler installed by a professional could see you saving money across the year: as heating accounts for around 55% of what you spend in a year on energy bills. We know that feeling comfortable in your property is a key factor when it comes to feeling at home, so it’s important you keep the winds at bay. Getting the right boiler for your home is dependent on a few things, most notably how much hot water you use, the space that you have, and how many radiators you will need to effectively warm your home. With Alpha Building & Heating, you can rest assured that you’ll be able to get the right choice to suit you in a cost-effective and simple way. 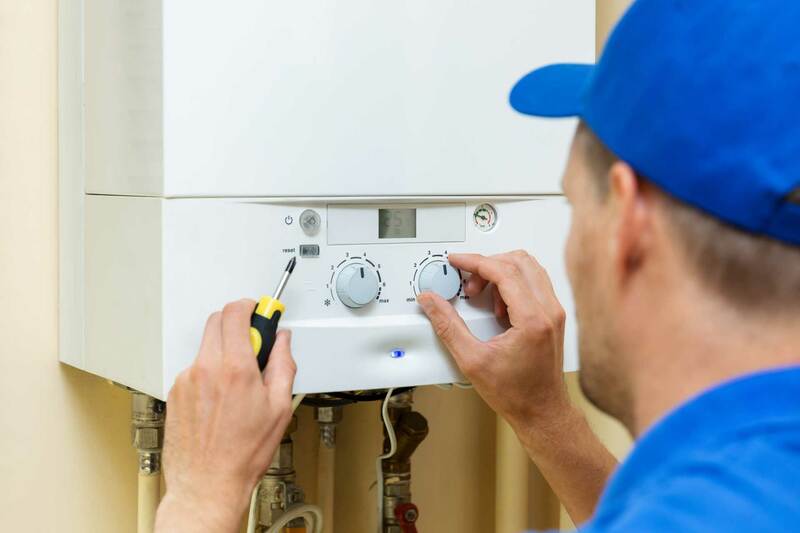 We are able to offer a selection of replacement services, including the replacement of a pre-existing boiler to installing a brand new boiler where one isn’t already present. Our expert teams are well versed when it comes to the installation of our boilers, allowing us to reduce the disruption that you have to your daily life. We’ll make sure that you enjoy the best standards from start to finish. To further help achieve the highest degree of quality, we carry out a chemical flush during the transition period between your old boiler and the new boiler. This comprises the cleaning of the existing system and the application of protection fluid to ensure lasting performance. The general process will include a member of our team visiting your property (at your convenience), assessing your existing setup and offering you a cost-effective quote. From there, we will then purchase the boiler on your behalf and professionally install it. Our boiler services have been refined to make things as convenient as possible for you. Combi boilers offer a wide range of benefits for you to bring to your home, including a compact size that makes them the ideal choice for smaller to mid-size domestic properties. Further to this, you do not need to sacrifice loft space and you could even find yourself saving money as the reduced need for pipework can typically make this the cheaper option. Your boiler could also need replacing if it is beyond economical repair, if your moving the system, if you’re experiencing a low energy-efficiency rating or if you’re selling/renting your property. Whatever your need is, a member of our team will be more than happy to help you get the ideal fit for your home. System boilers are the ideal option for homes with more than one bathroom, helping you to save space as they do not need a loft tank. They also bypass the need for a feed or expansion cistern, which helps to make them more efficient at warming your home. We have a wealth of experience when it comes to your boiler replacement, dealing with a wide array of problems to help get homes back to the ideal temperature. With this in mind, we know that the reasons for replacing your boiler could be down to it being unreliable, faulty, broken or simply inefficient for the size of your home. Conventional boilers are well suited for homes that typically use a lot of hot water at the same time. This type of boiler will require a cold-water storage tank in your loft, alongside a hot water tank. This boiler type is suitable for larger homes, where two or more bathrooms are in use. We can install our boilers with a range of heating controls, allowing you to enjoy simultaneous comfort and practicality. This includes the integration of basic thermostats, weather-compensation controls, or smart heating controls. Each one of these brings its own benefits, so speak to a member of our team to see which one is best suited for you. Before the installation, we'll check a few things with you first. This includes how many radiators you have, your water pressure, the current placement of your boiler and how many bathrooms you have. This will help to ensure everything runs as smoothly as possible. The installation process, and time, will vary according to which boiler style you are having installed. If it’s a simple swap, such as a combi for a combi, we should be finished within the day. However, more complex installations will take longer. As a professional company, we always make sure all of our boiler installations are carried out in full compliance with Building Regulations and Gas Safe rules. Further to this, we’ll also issue you a Gas Safety Certificate upon completion. Once the boiler is fitted and up and running, we’ll be on hand to help you in the rare occasion that any problems should occur. Rest assured, our teams are well versed when it comes to the installation of our boilers so you can enjoy complete peace of mind. When you’re looking to get a replacement or new boiler installed, the cost is sure to be on your mind. The simple answer is that prices will vary depending on the type of boiler and the amount of work required for the installation: size will also be a determining factor. For example, if additional parts or increase labour are required, such as the need for a new gas run that spans from the gas meter to the new boiler location, you could receive a higher quote. As a frame of reference, a gas boiler for a three bedroom semi-detached house should cost you around £2,300. The cost will also include a smart control, enabling you to obtain a more cost-effective approach to your heating and hot water system, a chemical flush that will maximise boiler performance across your piping system, the application of a protection fluid to maintain lasting performance, the issuing of a Gas Safety certificate, the registration of the warranty, and the notification of building control on your behalf to make things as easy as possible for you. We always work to ensure you get a boiler price that is as cheap as possible, tailored to your exact specifications to get a price that is as cost-effective as possible. With us, you’ll be able to ensure your home remains warm and comfortable during the colder winter months without breaking the bank. Alongside this, we only deal with ‘A’ rated energy efficient boiler designs to ensure the highest standards of quality: including the leading Worcester Bosch design. The boiler systems that we install are able to achieve high performance without the commission overload, warming your home in a sustainable and economical way. Further to this, as they are highly effective, they will be able to warm your home in a quicker and more efficient way. In turn, this means that you’ll be able to enjoy a more comfortable home with reduced energy bills and a reduced carbon footprint across the year. We also install a smart heating control and thermostatic radiator valves when required. Get in touch with us via our online contact form to speak to a get a bespoke new boiler or replacement price. Simply let us know your specifications and we’ll be more than happy to offer you the ideal price. You can also get in touch with us should you have any questions.